InterCloud Systems, a company familiar to Southern Investigative Reporting Foundation readers, put out a press release last week sharply disagreeing with the claim that they had hired a controversial public relations firm to promote its shares. While affirming a commitment to grow its businesses, InterCloud’s statement said that it had retained an unnamed former Securities and Exchange Commission attorney who had not found any evidence that the company used the Dream Team Group, a public relations outfit whose practice includes paying authors to post favorable, company-vetted articles about its clients on popular stock market websites. The unambiguous stance worked and reversed a week of constant decline in InterCloud’s share price when a series of plaintiff law firms announced their investigations regarding InterCloud’s undisclosed promotional activities. A public relations firm that hires authors to write flattering articles about a clients prospects without disclosing they are being compensated to do so isn’t just gaming public opinion, but is running the risk of violating the Rule 17(b) of the Securities Act of 1933, which mandates disclosure of an economic interest in the promotion or sale of securities. One company that had their public relations firm commission articles, Galena Pharmaceuticals, is already in the SEC’s crosshairs, having received a demand for documents related to this issue. The strength of InterCloud’s denial regarding its use of the Dream Team Group prompted SIRF to closely examine our reporting to ensure accuracy and fairness. A careful re-reporting of the issue suggests that we stand by our work. Make no mistake: regardless of the findings of InterCloud’s former SEC attorney or the forcefulness of its press release, authors were clearly paid to publish favorable articles on InterCloud. Moreover, the shares increased in value during the time of this promotion, and according to the terms of the solicitation, senior management was allowed to see articles prior to publication. The only thing limiting the practice appears to have been the inability to find more authors willing to write on the company. As it stands, InterCloud’s marketing strategy is already centered on using shareholder capital to whip-up short-term trading interest. Recall how the company retained the RedChip Companies, a Florida-based small-cap stock promotion outfit, paying them in cash and shares. RedChip’s signature move is to put out a lengthy, easy-reading press release constructed to look exactly like a brokerage firm’s report, including an astronomical “target price,” based on grave-seeming metrics that are equal parts surrealist fantasy and comedy. The CSIR Group, a Manhattan based investor relations firm under contract to InterCloud, is the enterprise behind the practice that InterCloud’s chief executive Mark Munro formally assured investors was—after an internal investigation—inaccurate. This email exchange between Rick Pearson (who used a pseudonym to pose as a prospective author of these articles) and Herina Ayot, an employee of CSIR, is evidence that CSIR was involved in recruiting and paying authors to write favorable, InterCloud-approved articles. In the most direct terms possible, Ayot laid out to Pearson how CSIR sought an author for an article developing “convincing arguments for buying the stock,” one that CEO Mark Munro would review. The author would be paid $500 upon publication of the article. All of which was strange: when SIRF asked CSIR’s founder Christine Petraglia for comment two weeks ago about her firm’s involvement with paid articles, she denied any role in the practice, insisting her firm only provided basic investor relation help to InterCloud. “We’re too small to do much more than help spread the word and arrange meetings,” Petraglia said at the time. SIRF called Ayot for some help in resolving this issue. Ayot, an aspiring novelist whose Twitter feed is chock full of references to God and warm spiritual affirmations, confirmed CSIR recruited and paid writers to write pro-InterCloud articles. When asked if Ayot understood what exactly she was saying about her firm’s actions—lying and covering up, for example, about a serious disclosure matter that the SEC is investigating—she seemed unfazed about the potential for controversy. “You need to know that on Wall Street, everyone lies and we lied to you to protect ourselves,” Ayot said, before declining to comment about the specifics of CSIR’s work for InterCloud. Given the regulatory scrutiny ongoing with respect to disclosure, SIRF made repeated attempts to give Ayot a chance to expand on or clarify her remarks. Numerous phone calls were made to residence and cellphone numbers obtained from a private database, and several emails were sent to her CSIR account, but Ayot never replied. Shortly before this story was released, however, Petraglia called back to explain her side of the story. With regards to Ayot, Petraglia said she was not an employee of CSIR, but rather worked as a “part-time contractor” for CSIR, whose job was to line up authors to write articles on behalf of CSIR clients. She added that CSIR has stopped doing “that kind of work” for InterCloud Systems and other clients. She declined to comment about who initiated the program and how much it cost. “I never focused on this issue, and I had never looked at Seeking Alpha before, so I didn’t comprehend that [the lack of disclosure] was a problem,” Petraglia said. Active in the financial services industry since 1991, Petraglia’s resume includes stints with major firms like PIMCO, Prudential Securities and Nuveen. There has been one regulatory black eye though—coincidentally over a disclosure issue—and she worked for one of the most troubling penny-stock firms during its sanction-inducing heyday. In 2004, while working for Bear Stearns’ Bear Wagner Specialist unit at the New York Stock Exchange, Petraglia was fired when a firm official uncovered how she had been employed at one firm, but kept her Series 7 brokerage registration listed (or “parked”) at another firm. As financial crimes go it is a minor one, but the intentional deception provided the impetus for her dismissal. Moving in a different direction, Petraglia was one of the featured “cougars” in an erstwhile reality TV show, “True Cougar Life” that was designed to follow the active lives of five older women who sought relationships with younger men. It was hosted and produced by Brittany Andrews, an award-winning former adult film star who has appeared in 270 different features, according to adult film archives. Finally, SIRF called John Mylant, the busy author of over 800 articles on Seeking Alpha, several of which were compensated by the likes of Galena Pharmaceutical and InterCloud Systems, to get his take on CSIR’s role. A self-described options trading coach who earns his income primarily from the sale of health insurance, the Colorado resident said CSIR approached him to write about InterCloud. Like Petraglia, he told SIRF he was unaware of the disclosure issues surrounding this practice. “I just thought it was a way for me to earn extra money and write about what was interesting to me,” said Mylant, adding that he had retained a lawyer to help him with an interview with the SEC last week. Mylant said that he was offered $50 to write a pro-InterCloud article for the Dream Team Group and he suggested that it was for the company’s bid to attract attention from a potential client. He declined comment on whether he took the assignment, citing his lawyer’s advice and the SEC investigation. 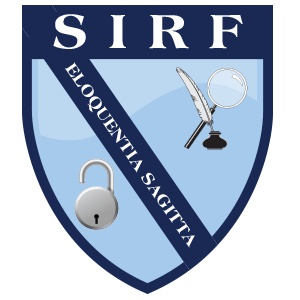 SIRF sought to discuss our findings with InterCloud’s executive vice-president Larry Sands, but he did not return a phone message or an email seeking comment.